University of New South Wales researchers led by Emeritus Professor Heinrich Hora have made important breakthroughs recently in developing clean nuclear energy technology. When a proton (a Hydrogen nucleus) fuses with a Boron-11 nucleus it produces 3 alpha particles (Helium nuclei). That's it. No radioactive fuels. No radioactive waste. And another result: For each 11 grams of Boron-11 (one mole) converted to Helium, the energy produced is around 230 megawatt-hours. 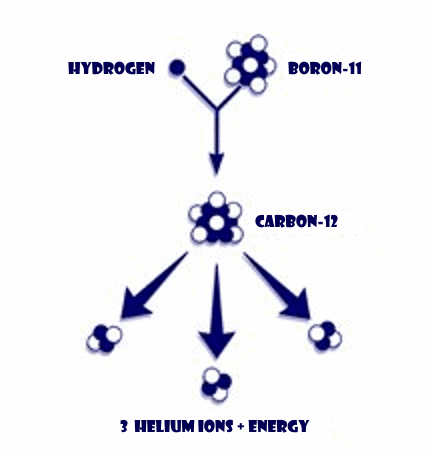 At the level of individual nuclei, the mass of the three Helium nuclei produced is about 17 electron masses less than the mass of the Hydrogen nuclei (a proton) and the Boron-11 nuclei that undergo fusion to create them. It is this "missing" mass that appears as energy. Specifically this energy is kinetic energy imparted to the Helium nuclei. "The fuels and waste are safe, the reactor won't need a heat exchanger and steam turbine generator, and the lasers we need can be bought off the shelf," says Warren McKenzie, managing director of HB11, which owns the patents to the new technology. When coal is used to fuel a high-efficiency low-emission "HELE" ultra-supercritical coal-fired power station, carbon dioxide emissions are 900 kilograms per megawatt-hour. 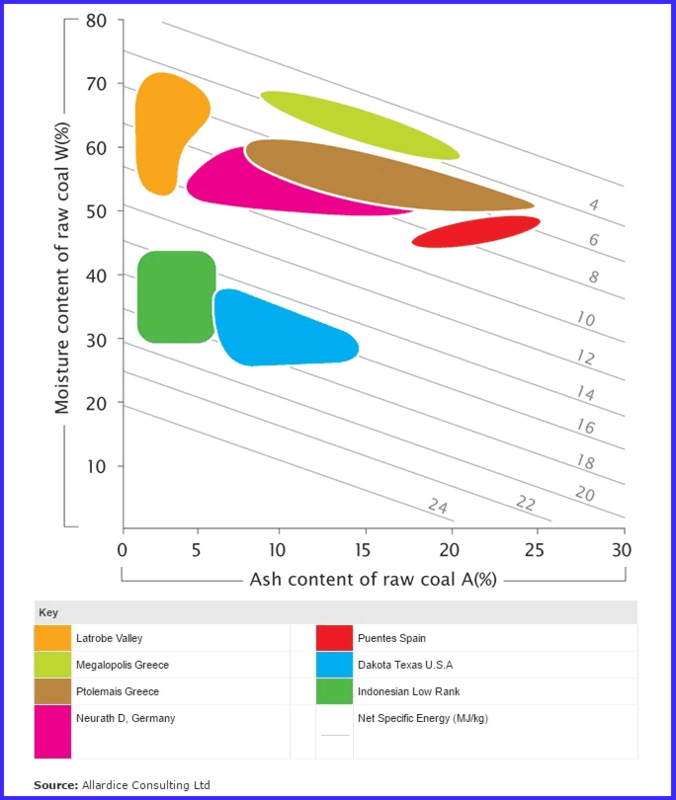 The amount of carbon in the coal needed for each megawatt-hour of electricity generated is 900 x (12 / 44) kilograms. That is coal containing 245 kilograms of carbon is burned for each megawatt-hour. To generate 230 megawatt-hours of electricity in a "HELE" coal-fired power plant coal containing over 56 tonnes of carbon would need to be burned. It would be converted into almost 21 tonnes of carbon dioxide. Coal power plants have another serious handicap. 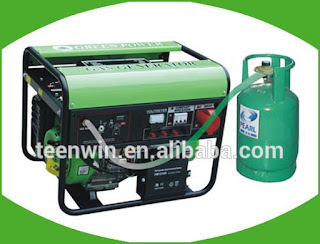 The energy produced when coal is burned is heat energy. 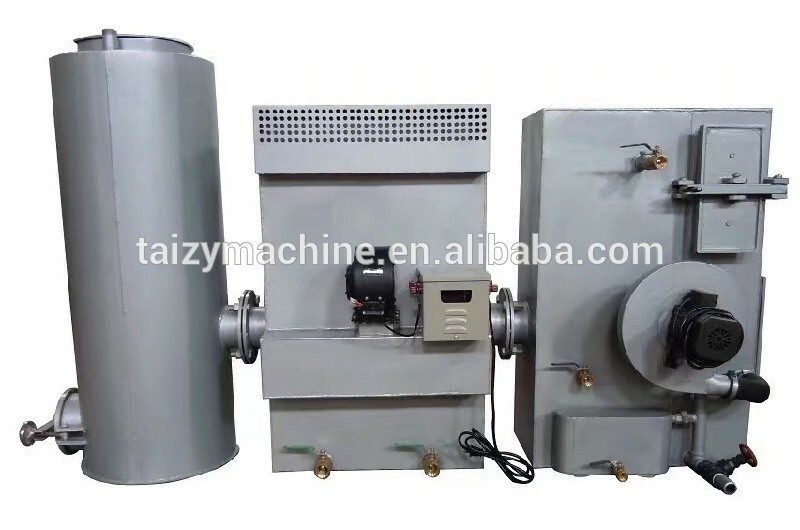 Extremely high pressure boilers and turbines are required to spin large generators to convert the heat energy into electricity. With proton-Boron-11 fusion, the energy produced is in the form of fast-moving positively charged Helium nuclei. This kinetic energy of charged particles can be converted directly into electricity. 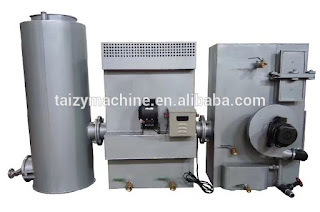 There is no need for steam boilers, turbines and generators. While the nuclear reactor is being developed, the technology to create electricity from fast-moving charged particles can be done in parallel. For instance, the ion propulsion test facility at the Australian National University could produce streams of ionised gases to use in developing the electricity production technology. Professor Christine Charles is Head of the Space Plasma, Power and Propulsion laboratory at the Australian National University. Professor Christine Charles is internationally recognised for her research on ion acceleration in expanding magnetised plasmas and its applications to a new generation of space engines and advanced material processing. The Minerals Council of Australia may hire the head of a carbon capture and storage group as its next chief executive after major member BHP forced out the previous chief for being too coal friendly. It is understood that Tania Constable, a former treasury official with more than 20 years experience in government industry and resources jobs, is a leading candidate for the job. An announcement is due within two weeks. The appointment has been more than six months in the making after the nation's top resources lobby group unexpectedly parted ways with former CEO Brendan Pearson after BHP threatened to review its membership. A spokesman for the MCA said the recruitment process is at "an advanced stage of completion" and that an announcement would be made once the process is finalised. "The MCA will not comment on rumour or speculation regarding candidates for the role." 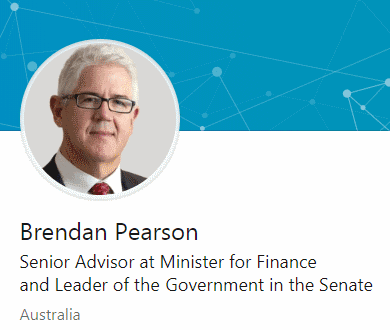 Mr Pearson, who last week joined the office of Trade Minister Steven Ciobo as a senior trade advisor after helping Finance Minister Mathias Cormann negotiate with Senate crossbenchers on company tax cuts, was seen as being too supportive of coal interests. The rumoured shift to Ms Constable, who would take over from acting MCA chief executive David Byers, suggests the council is continuing the shift away from the combative approach of Mr Pearson's predecessor Mitch Hooke, who spearheaded the politically tumultuous campaign against Labor's ill-fated mining tax in 2010. 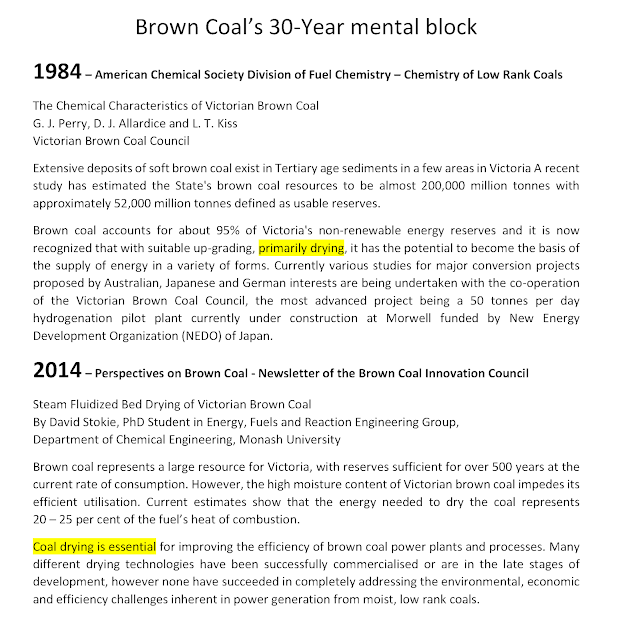 Mr Pearson took over from Mr Hooke in January 2014, just as the Minerals Council absorbed the former stand-alone Uranium Association and Coal Council on the understanding it would continue to fight for coal and nuclear power in Australia. His departure was seen as evidence of the growing impact of the global anti-coal lobby, which is putting pressure on big producers such as BHP to withdraw from the industry. BHP said last week that it has severed ties with the World Coal Association over differences on how to combat climate change. 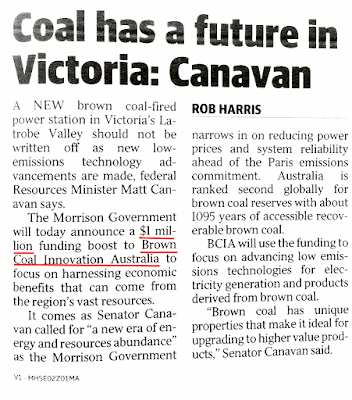 The resources giant – which earns around one fifth of its revenue from coal but is moving towards zero emissions from its businesses after 2050 – said it saw little benefit from staying on as a member. The company was particularly unimpressed with remarks by WCA chief executive Benjamin Sporton in the Financial Review last September where he backed the Turnbull government's dumping of a clean energy target. Ms Constable would come to the Minerals Council after a lengthy career as a policymaker across resources, energy and natural gas. 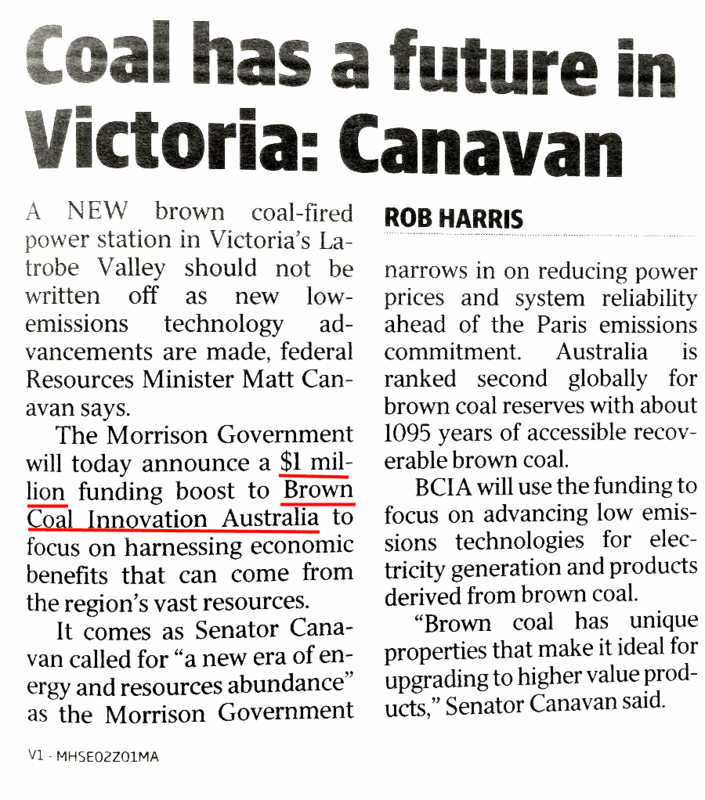 She was named as chief executive of CO2CRC (or the Co-operative Research Centre for Greenhouse Gas Technologies) in late 2014 by its chairman, former Labor resources minister Martin Ferguson. 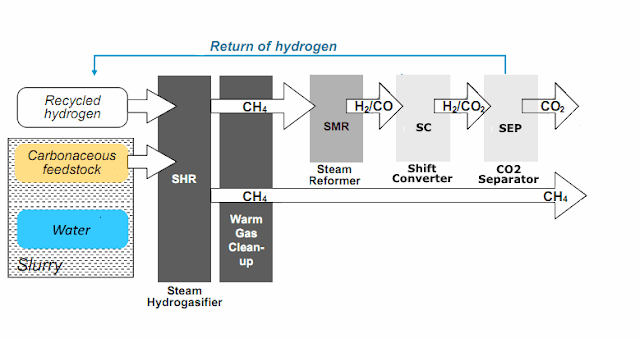 CO2CRC describes its mission as developing carbon capture and storage (CCS) as a "socially, technically and commercially viable option for net zero emissions" and references research saying it won't be possible to keep global temperatures from rising by more than 2 degrees without CCS. 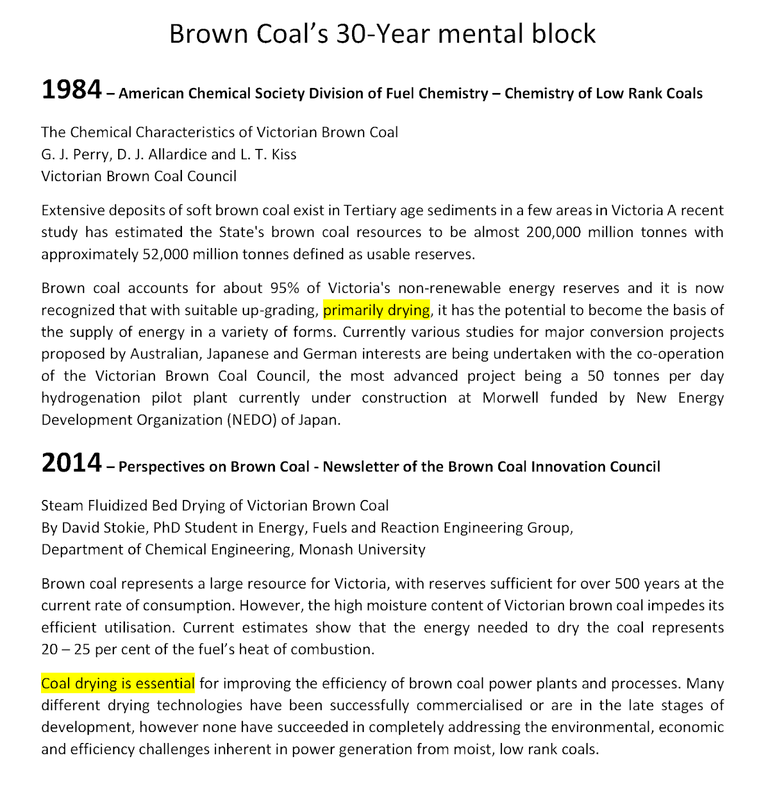 The MCA is a strong supporter of CCS and its website highlights that more than $300 million has been spent on projects to demonstrate the viability of CO2 capture and storage. Prior to that post, Ms Constable was chief adviser for Treasury's personal and retirement income division, a job with a heavy tax policy focus. She was also a senior Industry Department official for more than four years where she advised the minister on oil and gas regulation, exploration and other mining activities. She was awarded the Public Service Medal in 2014 for her work in the creation of Australia's liquefied natural gas and other energy industries. It is understood the search for the CEO's position is being tightly managed by the MCA board. Adopting a policy for the introduction of electric vehicles would reduce that uncertainy. Allowance can still be made for competing technologies that are quickly evolving. 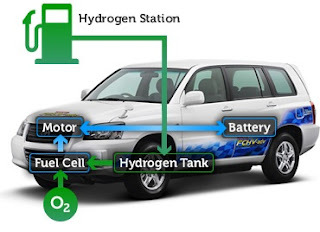 Fuel cells for instance that produce electric power from, say, hydrogen, are not that dissimilar from batteries that store and recharge electrolyte in situ. 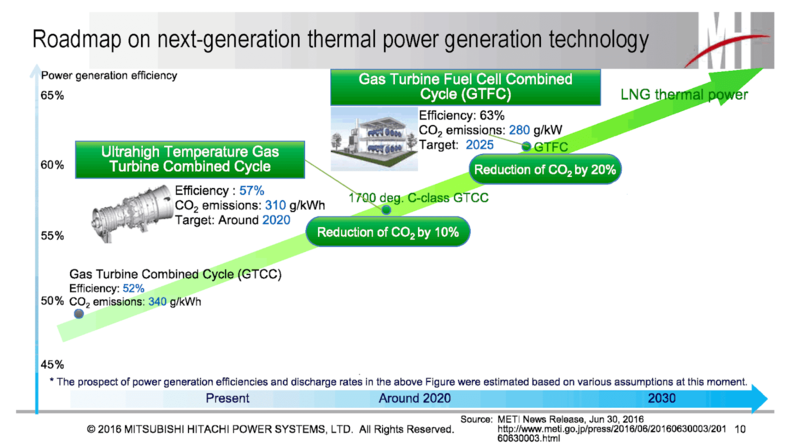 Vehicles using either, or both, of these energy supply systems are powered by electric motors regardless of which these two evolving technologies provides the electricity. One version of electric vehicles might use a battery for short trips and activate a hydrogen fuel cell on longer trips after the battery charge is depleted.